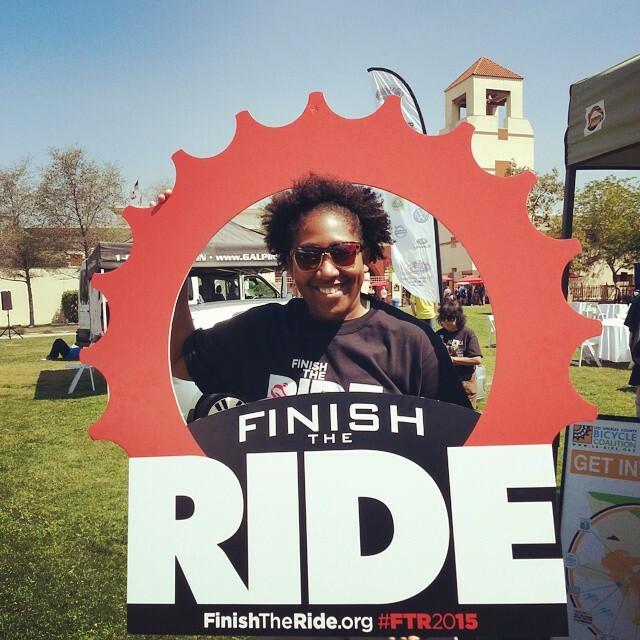 Yesterday, Finish the Ride held its second annual self-titled bike ride to raise awareness of traffic safety issues. Damian Kevitt, the hit-and-run survivor who lost a leg and founded a movement around creating safer roads, was front and center, offering both a frank statement on the safety of our roads and optimism and encouragement for those riding (or running) at the event. Even as Kevitt and his team prepared for yesterday’s event, the news was filled with stories of hit-and-run crashes throughout the region. In North Hollywood, officials announced a $50,000 reward for information on a Feb. 27 hit-and-run crash that left a man crossing the street dead. In South Los Angeles, a mother pleaded for any information about the January crash that killed her daughter even as an 18-year-old woman was hospitalized by a hit-and-run driver after she attempted to cross the street. In Long Beach, a woman killed a person riding a bicycle on Sunday morning at 2 a.m. and tried to flee the scene. Instead, she drove into a telephone pole. And that was just last week. And those are just the stories that made the news. Los Angeles is far above average when it comes to hit-and-runs. More than half of all vehicle crashes in the city are hit-and-runs, compared to a national average of 11 percent. In 2014, 27 people were killed in hit-and-runs, and 144 sustained serious injury. So even as Finish the Ride and hundreds of participants took to the streets to raise awareness and push for changes in state and local laws, the Los Angeles region continues to tell a grim story about the danger of just trying to get from one place to the other. But there is also plenty of good news. Even more powerful than the 2012 cover story in L.A. Weekly that kick-started the regional conversation about hit-and-run crashes, Kevitt’s story (and his organizing skills) have helped pave the way for legislation and laws that could help stem the tide. Last week, the Los Angeles City Council approved an “automatic reward” program for hit-and-run crashes. While some may scoff at the odds of someone suddenly being willing to turn in a friend or loved one just because of a cash reward that ranges from $1,000 up to $50,000, the reward suddenly incentivizes auto repair places to look more closely at any damaged car. The price of the reward might outweigh any money made from doing the repair. The program creates a new set of eyes looking out for suspicious damage to cars. Los Angeles has also approved its version of a “yellow alert” system to spread the word quickly after a hit-and-run crash occurs so that the lawbreaker may be quickly brought to justice. Back in February, the City Council passed a law creating a new hit-and-run alert system that will publicize serious hit-and-run crimes via the LAPD’s Twitter, Nixle, and Facebook accounts. Information in the alerts will include license plate number, vehicle description, and driver description. Streetsblog Los Angeles editor Joe Linton has met with LAPD officials and will have an update on this plan soon. In the meantime, the combined law changes are a sign that the city is at least trying to do something about the crisis of hit-and-run crashes in the larger region. While these efforts are applauded as useful and good first steps, many advocates believe the creation of a statewide “yellow alert” system for hit-and-run crashes, similar to the “amber alert” system for child abductions, would help find hit-and-run perpetrators. They also say it would make perpetrators think twice before fleeing the scene after hitting something or someone with a car. Assemblymember Mike Gatto has become the champion of hit-and-run crash reforms at the state level. In 2013, Gatto authored AB 184, which doubled the statute of limitations to prosecute hit-and-run drivers. That bill passed into law. In 2014, he authored AB 47 and AB 1532, the latter of which would have required mandatory license suspension for anyone convicted of a hit-and-run involving another person. Both bills passed the legislature with overwhelming majorities, each receiving “no” votes from only four members throughout the entire legislative process. Governor Brown vetoed both bills in September, citing fears that the emergency alert system could be overwhelmed in one veto and arguing that the current system of investigating and prosecuting hit-and-runs is adequate in another. In short, the Governor managed to claim both that we have too many hit-and-runs for an alert system to be meaningful because it would be overused and that the current system of deterring hit-and-runs is working perfectly. That didn’t stop Gatto from reintroducing the legislation that creates the hit-and-run alert system again this year in Assembly Bill 8. Gatto believes the legislation will pass through both houses as quickly and easily as it did last year, but that this year the Governor will sign it into law. I conducted a phone interview with Gatto last week, the audio and edited transcript of which will be on Streetsblog California tomorrow. In summary, the Finish the Ride movement does have some victories to celebrate in its first year after growing from “ride” to “movement.” But there’s still a lot of work to do, both in the legislative and driver-education worlds before the streets are safe for all road users. If you hit someone and leave the scene, your license should be suspended? How about revoked, as in you lose your driving privileges for life!